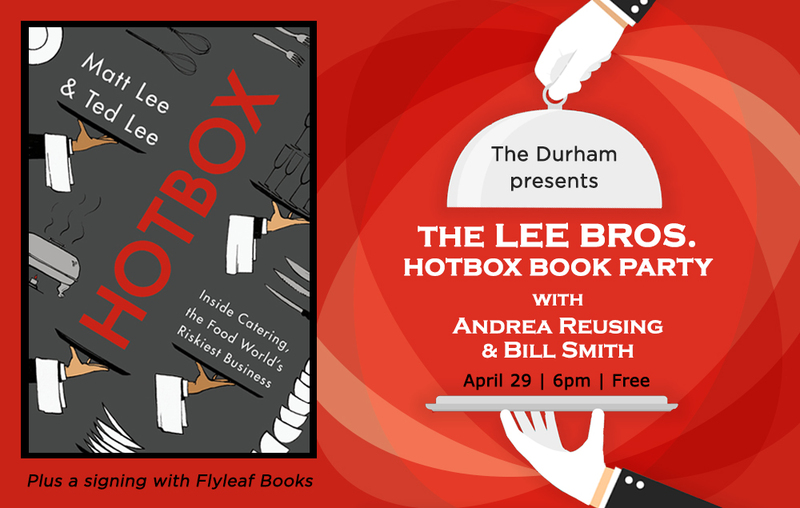 The Durham Hotel is welcoming the Lee Bros. for a cocktail party to celebrate their latest release, Hotbox: Inside Catering, the Food World’s Riskiest Business. Join us for drinks, snacks from The Durham and an insider conversation with Matt and Ted Lee, Bill Smith of Crooks Corner and Andrea Reusing of The Durham. 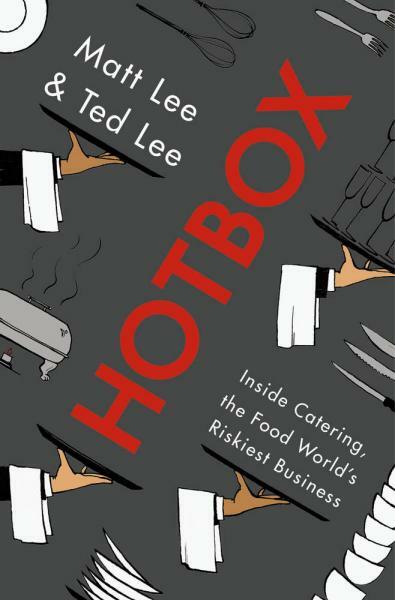 In Hotbox, the Lee Brothers take on the competitive, wild world of high-end catering, exposing the secrets of a food business few home cooks or restaurant chefs ever experience. Known for their modern take on Southern cooking, the Lee brothers steeped themselves in the catering business for four years, learning the culture from the inside-out. It’s a realm where you find eccentric characters, working in extreme conditions, who must produce magical events and instantly adapt when, for instance, the host’s toast runs a half-hour too long, a hail storm erupts, or a rolling rack of hundreds of ice cream desserts goes wheels-up. Attendance is free, please RSVP as space is limited. Siblings Matt and Ted Lee grew up in Charleston, South Carolina. When they left to attend colleges in the Northeast, they so missed the foods of their hometown that they founded The Lee Bros. Boiled Peanuts Catalogue, a mail-order catalogue for southern pantry staples like stone-ground grits, fig preserves, and, of course, boiled peanuts. When an editor of a travel magazine asked them to write a story about road-tripping their home state in search of great food, they embarked on a second career as food and travel journalists. They have a cable TV show, “Southern Uncovered with The Lee Bros” on Ovation network, and were commentators on all 7 seasons of “Unique Eats” on Cooking Channel. They contribute to magazines like Travel + Leisure, Bon Appetit, Saveur, Garden & Gun, and Martha Stewart Living, and for The New York Times, Food & Wine, and Southern Living, among other publications. 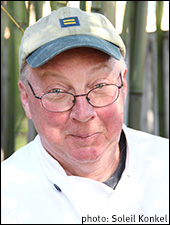 Chef Bill Smith is as well known for his sumptuous take on Southern comfort food as he is for his exceptional food writing—including the New York Times Notable and Food & Wine Best-of-the-Best cookbook Seasoned in the South and his recent book, the bestselling Savor the South title, Crabs & Oysters. Bill Smith stands out as the only James Beard Foundation “America’s Classic Restaurant” chef ever to have been named a final-five finalist for Best Chef in the Southeast—and twice. Continually interpreting found heirloom recipes, Bill Smith’s recipes have their way of becoming iconic dishes, first served at the Chapel Hill, NC, restaurant Crook’s Corner.